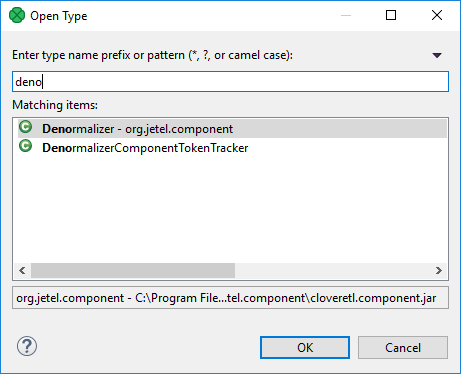 This dialog serves to select some class (Transform class, Denormalize class, etc.) that defines the desired transformation. When you open it, type the beginning of the class name for required classes to appear in this wizard and select the right one.